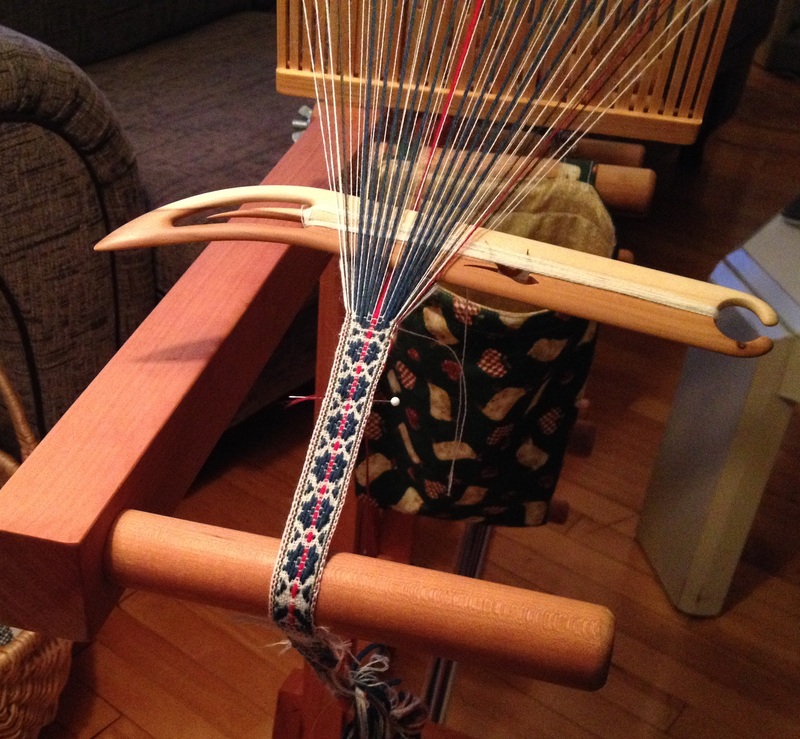 I am pleased to report that last weekend’s band weaving workshop was a success! This is the setup I asked my students to use. 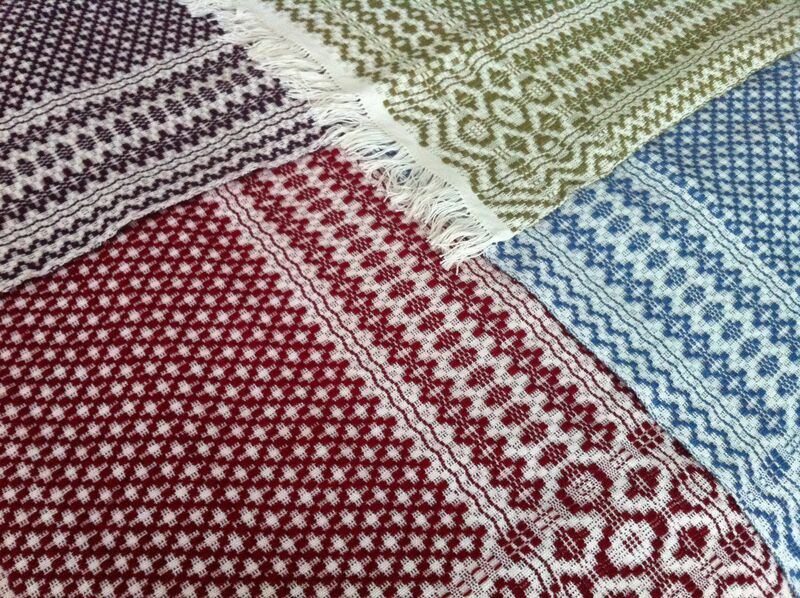 It’s not my favourite weaving arrangement (I prefer using my floor inkle or a backstrap), but it worked very well for demonstrating the technique. 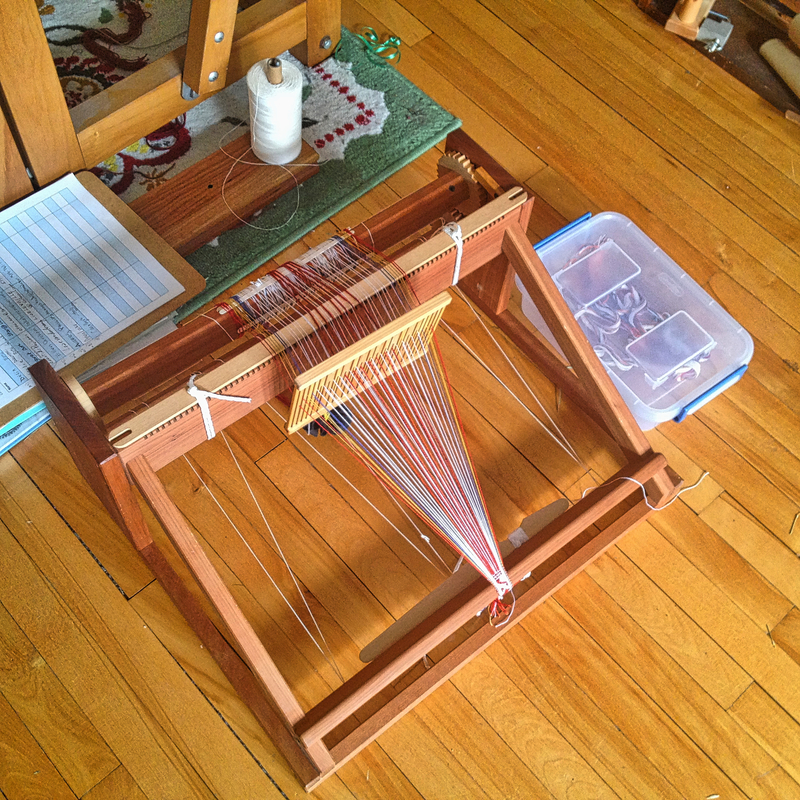 Incidentally, do you like my new-to-me table loom? I do! It’s a Good Wood Slant loom in cherry (the makers of which disappeared from the web the day after I happened upon this one, so I sadly cannot provide the link). 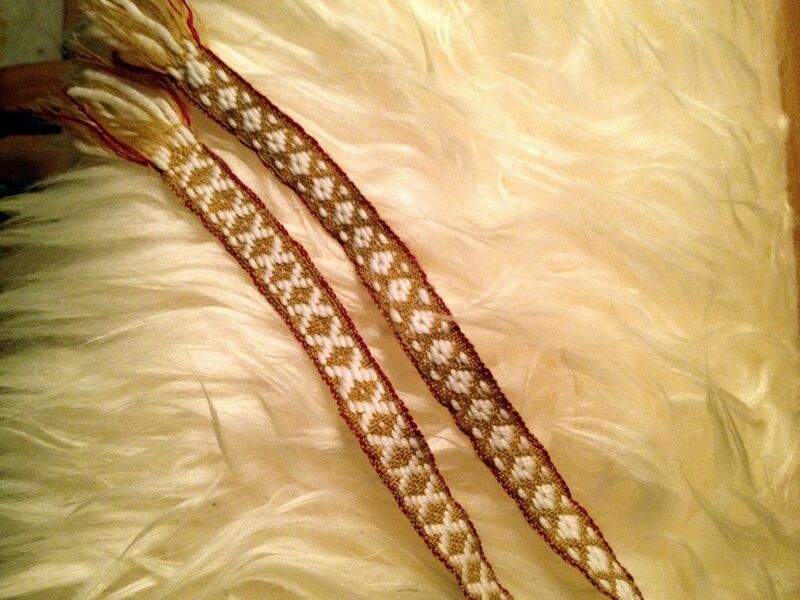 One of the guild members gave me a book of Lithuanian sash designs in exchange for her heddle, so that will keep me busy on this front for a while (say, several centuries). Stay tuned. 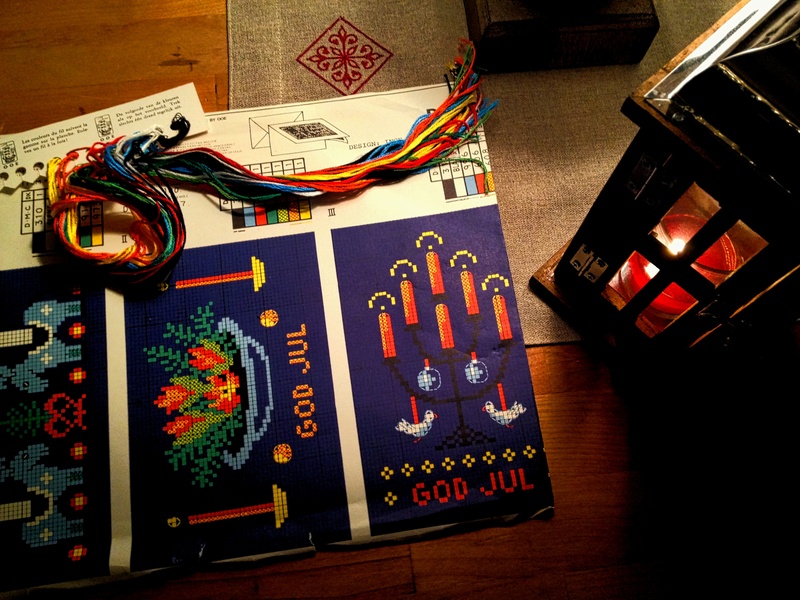 In other news, here’s the belated Christmas roundup! 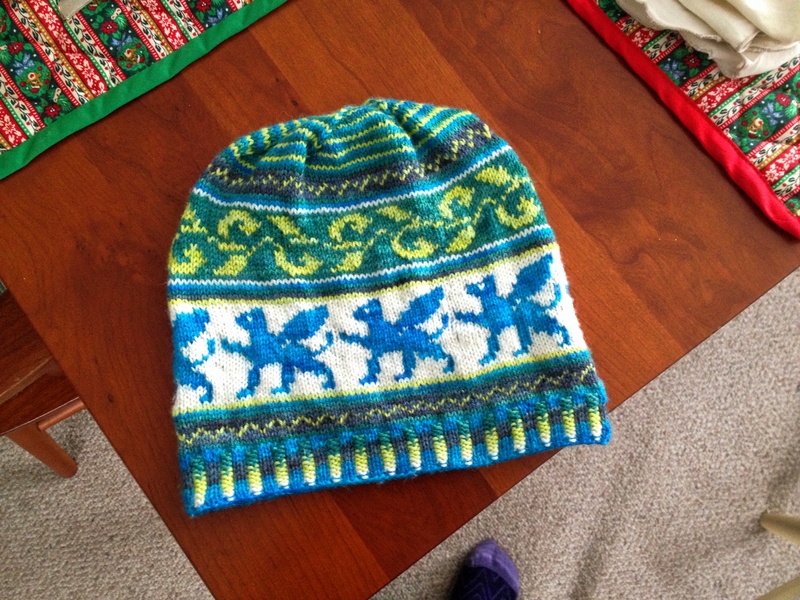 I planned to stick to a few small knitted gifts after the woven insanity of last year, and didn’t break my resolution too badly. 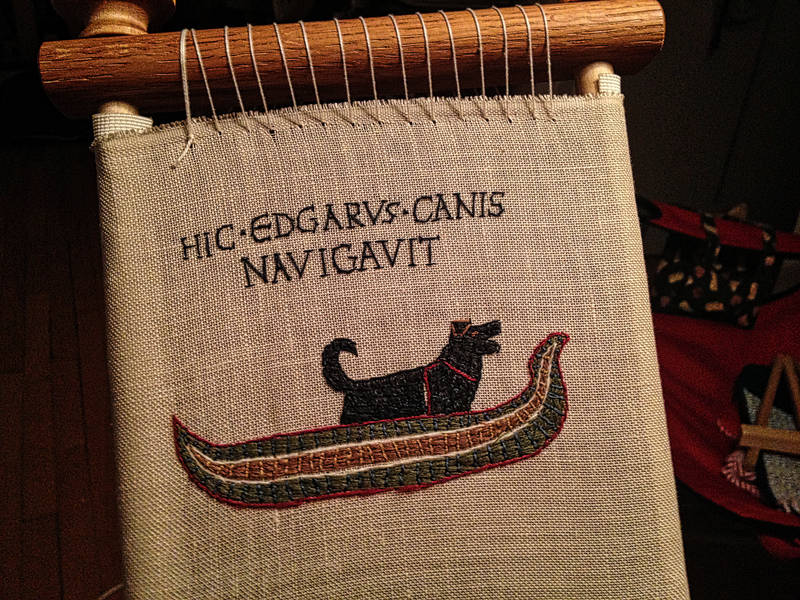 HERE, EDGAR THE DOG SAILED. 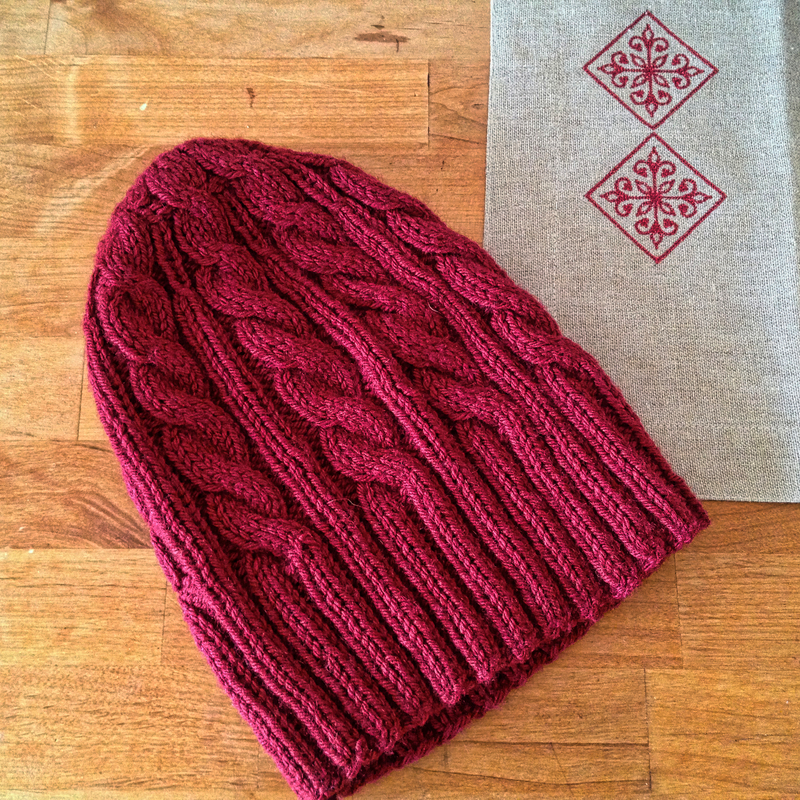 Other gift projects included finishing a sweater for my grandmother (pictures to follow), concocting an amigurimi gastropod for my boyfriend (pictures possibly to follow), and whipping up a hat on commission for a friend (picture follows). In exchange, she’ll help me make a muslin! 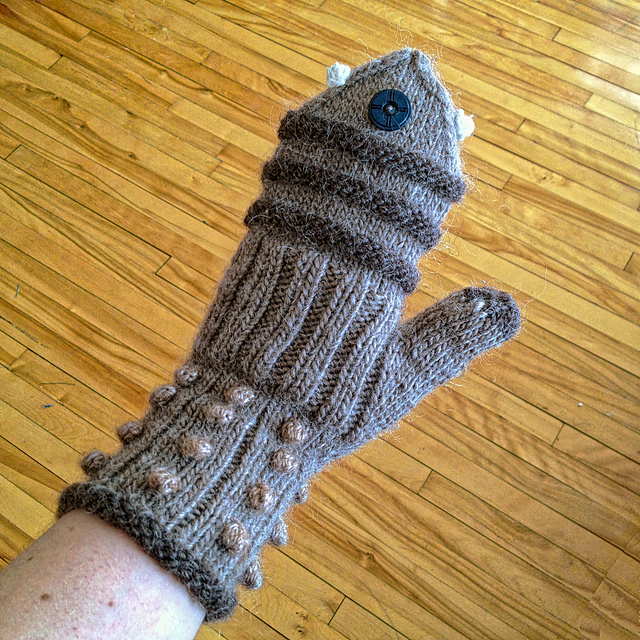 Once all that was done, I made a little something for myself: EXTERMINITTENS! Who and a what now? And then, some socks. 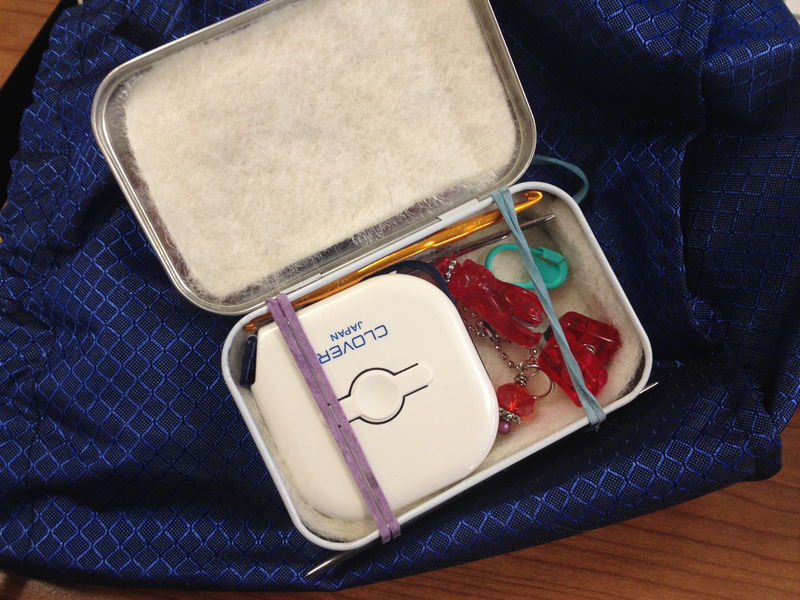 This week I made a sock knitting kit out of ah Altoids tin and wool felt to contain my stitch markers, measuring tape, tapestry needles, repair hook, 4″ DPNs, and snips. I’m sure it’s been done before, but I’m still quite proud of it. Happy New Year to you all. Thanks for following the blog!